We haven't done a Mice Advice in quite a while so when we were tweeted the following challenge we immediately got searching for the best quirky options out there! Now this admittedly has taken us some time (apologies Layla) but I think we've drawn up a pretty impressive shortlist! 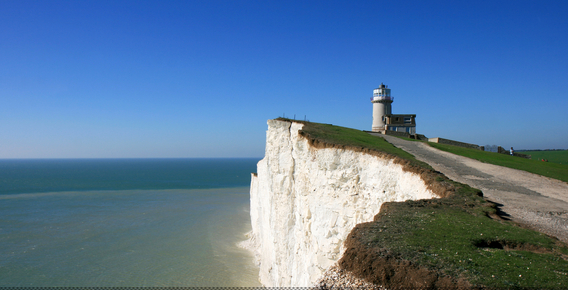 "Random question, looking for a quirky holiday spot in the UK eg, a windmill, lighthouse etc. Any ideas/recommendations?" 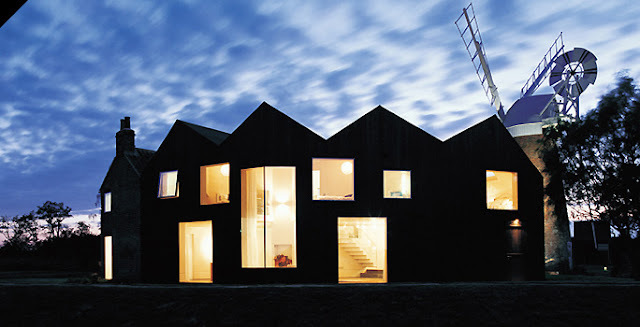 Grab your clogs little mouse...and make yourself comfy in this beaut of a Windmill! 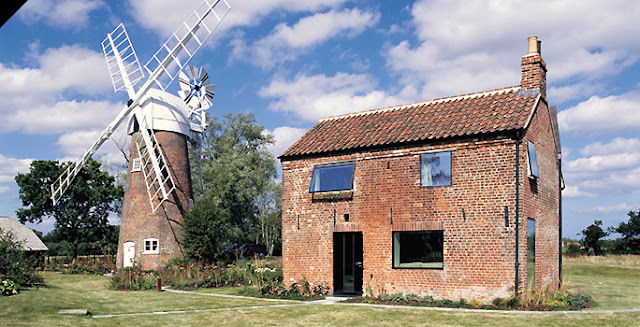 Hunsett Mill is set in the gorgeous Norfolk Broads - super peaceful, with beautiful views from all angles and for all yours to explore for the weekend! From the outside the extended Mill cottage is quite deceiving, you would never guess it can sleep 9 people let alone house the most chic decor ever! 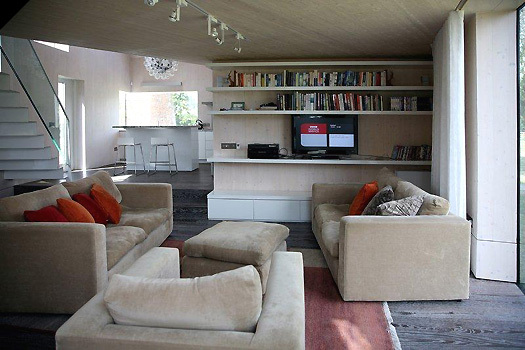 This huge, open plan, modern space is impeccably designed with clean lines, open fires, Egyptian cotton bedlinen and endless books and DVDs for guests! From £900 for a long weekend and from £1600 for a week. Bag a new job for the weekend...Little Miss Lighthouse Keeper! Hopefully you won't actually be in charge of keeping ships safe and instead you can just kick back and sip on wine with a swoon-worthy view - much more up our street! 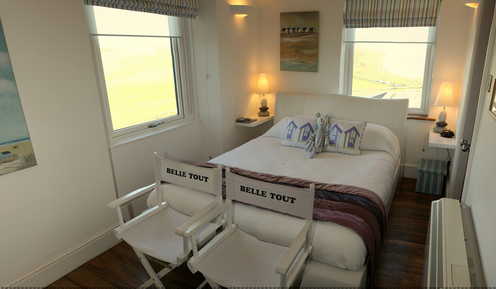 Belle Tout is located in Beachy Head, Eastbourne with the fabulous view overlooking the South Downs rolling into the English Channel! 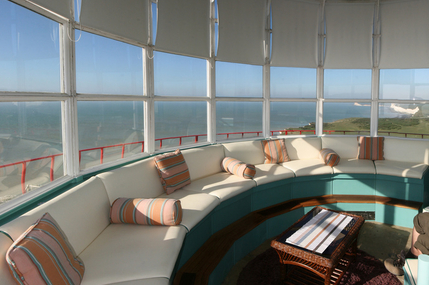 A recently renovated B&B lighthouse perched upon a white cliff with arguably the best view from the Lantern Room at the very top! 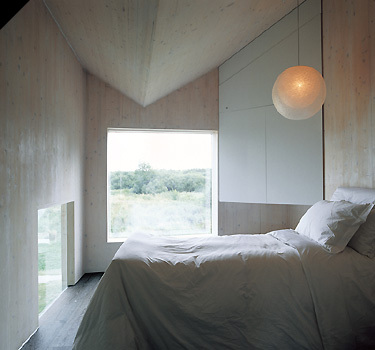 Rooms are small (kind of a given if you insist on staying in a lighthouse!) but beautifully decorated, lots of white, exposed brick and crisp linen! Bringing Pixar's 'Up' to life...with an actual house well and truly in the sky! 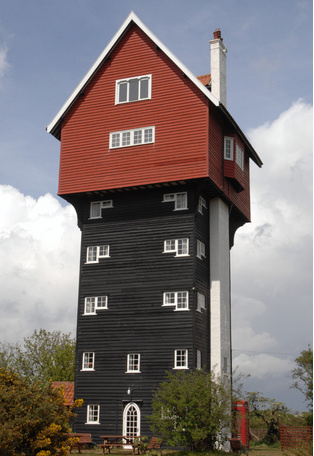 More widely known as 'The House in the Clouds' this little slice of holiday heaven is situated in Thorpeness Village, Suffolk. A quirky property set within 1 acre of private grounds, the house has views over the neighboring golf course and out to the Suffolk Heritage Coast. Trust us, this is truly one holiday home you'll never forget! Sleeping 12 people - 2 double rooms, 3 twins and a double sofa bed, the house is more than spacious enough for a group getaway! Complete with a games room on the 5th floor, a red telephone box at the base of the house and one special bedroom with a priceless view you can only achieve from living in a house in the clouds! From £525 a night and from £2,165 for a week with a minimum stay of 2 nights. 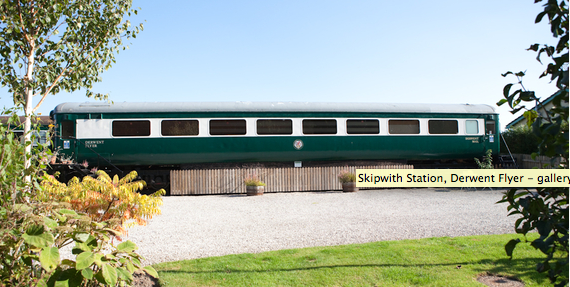 Jump aboard your new abode...Skipwith Station, you seriously can't get much quirkier than train carriages transformed into holiday homes!! Gone are the engines and the drab interiors and in their place, jazzed-up decor,think: wooden flooring, sleek kitchens, en suite shower rooms and vintage rocking chairs with comfy cushions! The Sothwarths, David and Lizanne, bought the Station House as a project, later accumulated two carriages and have since transformed them both as well as landscaping the grounds to make it a beautiful yet unusual escape! What's more they have two dogs and let you borrow them for walks if you don't have your own! I love them already...it seems they have thought of everything with tonnes of books, DVDs and games for family fun, and even air con for the hot summer months! Prices start at £290 - £650 for a weeks stay. 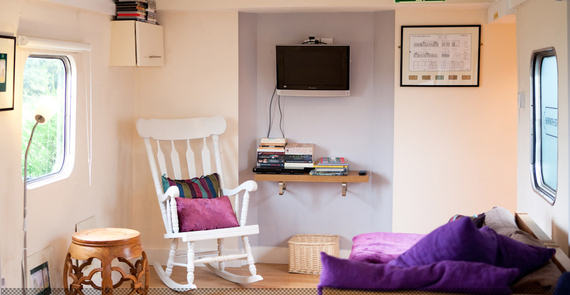 Making childhood dreams come true...with the luxurious Harptree Treehouse which is located close to Bath. I'm sure when we were all younger we dreamt of having a fancy schmancy treehouse, a little den far away from prying adult eyes that all our friends would be extremely jealous of! The closest us Mice got to this was a PVC caravan wendy house in the back garden...not quite up to scratch! So, a weekend playing make believe high up in the trees sounds like perfection! But this isn't any old treehouse, this tree top wooden house takes luxury to the max with a living area complete with a wood burner, Persian rugs, battered leather armchairs and finally a copper roll top bath overlooking the beautiful view...the dream of all dream tree houses I would say! And, don't fear treehouse holidaying doesn't mean cooking over a make shift camp stove, you get a kitchen fully stocked with all sorts of deliciousness think: homemade lemon cake, jars of muesli, tea, coffee, homemade jam and fresh eggs and sausages for a hearty brekkie! Alternatively, there are countless pubs and restaurants close by should you not want to lift a finger, now this is my kind of camping! Prices start at £500 for a weekend. Find all necessary detail on the website. Live the weekend like you're Richard Branson...with your very own private island, Spitbank Fort, located in the Solent, near Portsmouth! The ultimate exclusive getaway, your island comes complete with your own crew to whisk you across to your luxe bolthole. Once you're there you can then explore the Island's restaurant 'The Officer's Mess', the only bar 'The Victory Bar', have a G&T by the fire pit or relax in the hot pool and sauna! There are a eight luxurious bedrooms, a library, a gym, two sun decks, a games room, a lighthouse and a rooftop courtyard! Available for exclusive use, 4 day stays or even a weekend! Packages are available, call Patrick on 01494 682 682 or send an enquiry here. Now which one are you going to go for...? !